Are you ready to welcome them? Marketing your business to Chinese travellers starts with cultural understanding. 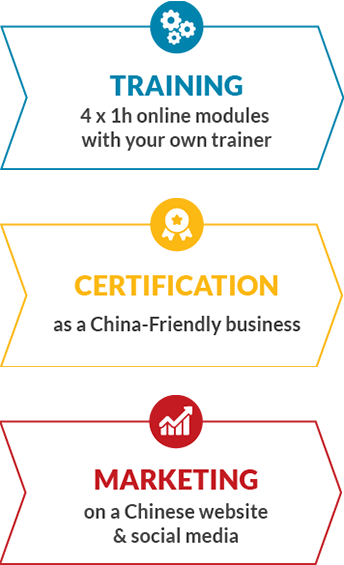 The Golden Dragon Certification & Marketing program helps you and your employees acquire the skills and know-how that will generate return visits and positive references from your Chinese guests. Once certified, we will feature your business on three popular Chinese digital platforms: TravelCanada.cn, WeChat and Weibo. Our comprehensive program provides you with the tools you need to REACH, ENGAGE, AND WELCOME Chinese visitors to your business.